Every business needs a plan to achieve growth and sustainable success, no matter the size. But a plan is nothing if it isn’t shared and executed. How can you share that plan with those who will help implement it? How can you ensure your business sticks to its strategy? 1. Connect your business’s core and its people. Why does the heart of your business matter? It’s your ‘why,’ the deeper meaning behind your organization’s being. Your core is what influences your strategy. If you can connect your team to your core, you can connect them with your plan and keep your business on track to growth and success. You need to share the reason for your business’s existence. What is its center? What are your core beliefs, the why? If your employees can understand and connect with your ‘why’ they’ll care more about the company and their job. And if you can connect their day-to-day efforts to that ‘why,’ you will inspire your team and take your business to the next level. How you interact with your team will make or break your business. Every leader must invest in a few essential items to create and maintain secure communication within their team. You need regular contact within your business. Email is too slow, and frequent in-person interruptions act only as a distraction and a time sink. ITC uses a messaging program called Slack. It allows for different channels for individual topics, people, or departments, and it keeps our team in-sync without unnecessary interruptions or messy email threads. Check out our post on Using Slack to improve internal communication. Your team members are more than cogs in a machine; they are your foundation. They need to know you value them. Pay attention to how you interact with them, verbally or otherwise. Effective leaders give people their undivided attention. They take an interest in their team’s career development. They show their drive and enthusiasm for progress and encourage the same within their followers. These simple acts will have the greatest impact on your team’s respect for you as a communicator. Check out this article from Forbes with tips on how to build better connections with your team for more ideas. The more knowledgeable and honorable you are as an individual, the more respect you’ll garner from inside and outside of your organization. Invest in yourself just as you would your business. I recommend reading and fostering a lifelong student mentality. For many people, education ends in the classroom, but for influential leaders, it never ends. Don’t have the time? Have a look at our recent post: How to Find More Time to Read as a Small Business Owner. There’s no denying the value of a good plan and an excellent message. 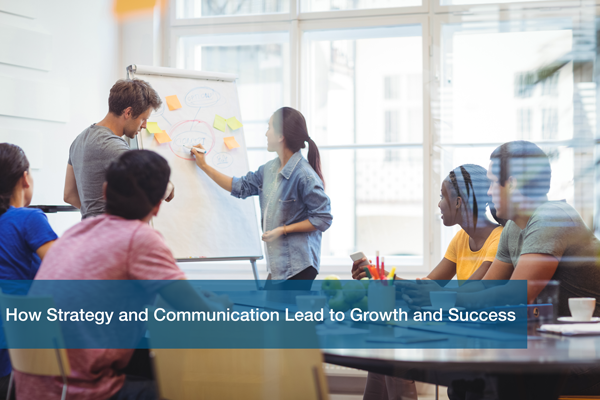 If you maintain effective communication within your team and keep your company connected to its core, your business will find sustainable, fast growth. If you need help improving internal communications or processes within your business, give us a call today at 512-348-8324 or download our 12-Point IT Checklist to get started now. We’ve worked with hundreds of small businesses and helped people all over the world.